Can you believe February is over? I realize that things have been a little quiet on the blog as of late, but I can assure you that I’ve been running, eating delicious things, spilling stuff on myself and being a weirdo, per usual. I’ve spent the last two weeks doing some major race planning items. I had a planning meeting last Friday and pestered a bunch of local businesses whenever I had any free time…Seriously, I glanced at the list I have and it appears that we have already contacted over 130 businesses…. not too shabby for January and February! I also got the official word that Clif will be sending us some sample size bars for the race! That will be in addition to a ton of other goodies we’ll be getting…. I’m so excited about this, I can barely handle it! In other news, I am absolutely loving my new running shoes. I’m sad because they’ve gotten a little dirty with all of the mud/rain we’ve had….but it’s fine. They’ve even helped motivate me to go out and run on my lunch break a few days last week. Wednesday, I talked Farmer Ben into meeting me for a lunch run (on his day off), even though it was so cold that my face hurt and we could barely breathe! We only ended up doing a little over two miles but it was well worth it. That comment had me smiling for the rest of the run and the rest of the day! I know he was trying to be funny… but, seriously? Swoon! I love that guy! It got me thinking about what my motivation is. I’ve discussed this before, so I won’t go into great detail, but I’d love to hear what motivates you…especially on your “I don’t want to do this!” days. So, let’s discuss, what is YOUR motivation for getting out and running…even when it’s so cold that it makes your face hurt? Okay, so I was going to write a post about Restaurant Etiquette… and don’t worry, I will… after this. I just need to share a few fun tidbits from my weekend/day. 1. 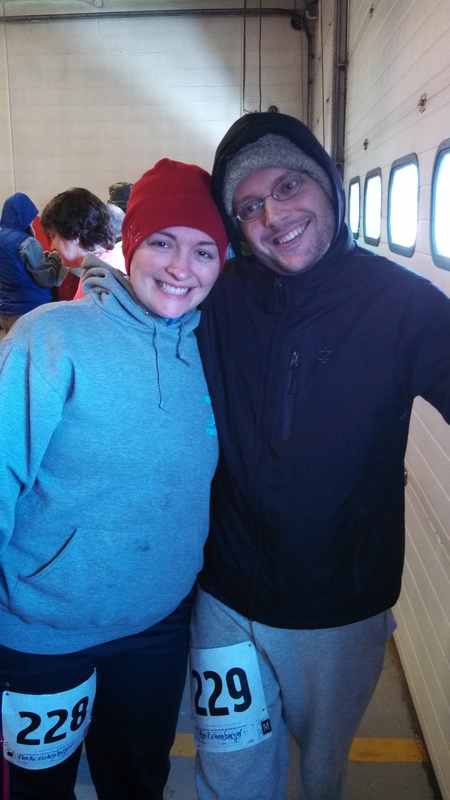 I am super happy to report that ice skating, Take 2, was a success. We went to the rink on the other end of town and were pleased with the results; not only did they have the right size skates, but the ice was mostly smooth, the blades were sharp and people were paying attention. It was also a whole heck of a lot less crowded-perfect learning environment-I was even able to work on some spins without fear of taking out a five year old. We were both able to get in a pretty good workout. 2. We made gluten-free pizza yesterday. Usually we make our own crust, but after work on Saturday night, Ben decided to sleep instead of starting the dough-not leaving enough time for it to rise. We decided to chance it and went to our co-op in search of frozen dough. They had a limited selection and only gluten-free. Not ready to give up, we went to a nearby grocery store to continue the search. No luck. Maybe a mix? After perusing the labels from Pillsbury, Jiffy and Betty Crocker, we were starting to feel defeated (let’s just say…EW!). But then I remembered that this store had a gluten-free/organic section. I picked up a box of Hodgson Mill and the search was over. The mix was still gluten-free but it had real ingredients and all things we could pronounce! I use some HM flours/pastas so I was glad to try another product. I have to say, I was a bit skeptical because, well, it was a mix. I was pleasantly surprised. The only complaint I had was that the dough was a bit sticky when spreading into the pan-this was remedied by flouring (or, for those who are actually GF, Corn Starching) our hands/utensils. The mix was easy to make and turned out nice and light with just the right combination of chewy/crunchy. We kept our pizza simple; topped with olive oil, garlic, fresh basil and rosemary, fresh mozz and tomatoes. We even snuck in some kippers. Anyway, in short, this was a lifesaver. Like I said before, normally we make our own dough, but if ever in a pinch, I can definitely recommend this mix, especially if you are gluten-free. Also, sorry for the lack of photos. 3. I don’t really watch football, but man… that 49ers’ game was intense! The other games? Eh, not so much. I don’t know what’s come over me… but I can’t wait to see the 49ers-Giants match-up next week! 4. 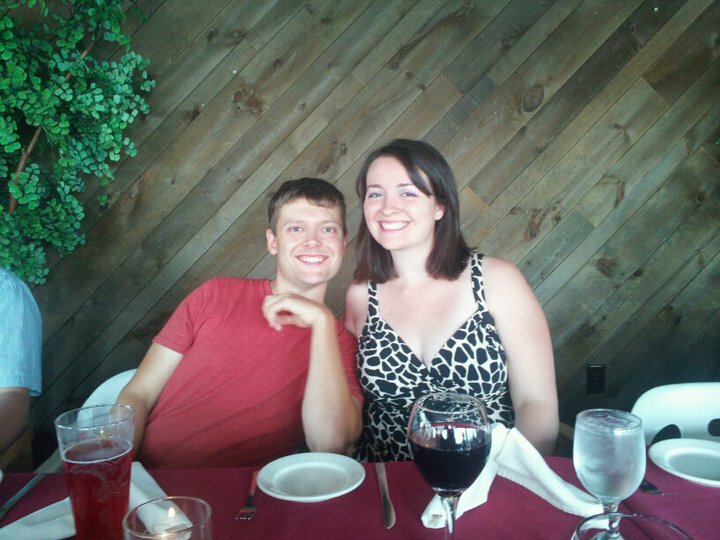 On this day, two years ago, I went on a date with some guy I knew… Now he’s my husband. I guess the first date went a little better than I thought. Anyway, shout-out to my amazing hubs; I love you, Benjamin! And sorry for stealing the blankets last night-I didn’t mean it! 5. 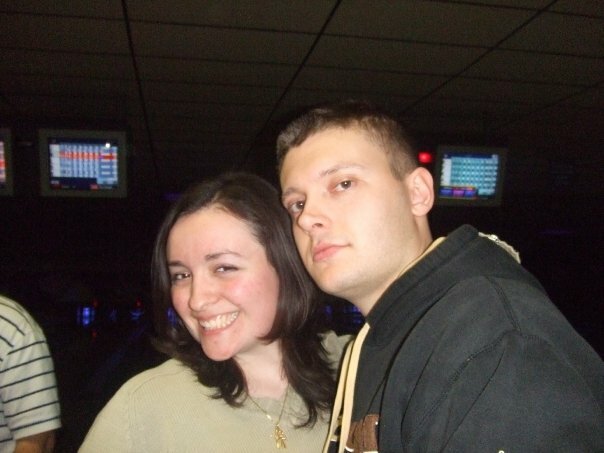 I find this photo hilarious, partly because how ridiculous we both look and partly because it was taken in 2008…when we were just friends. Thank you to Tina for taking this… and letting me steal it. Sorry Ben! 6. I am making Ricotta Cheese tonight-I’ll let you know how it comes out. I’ll also be posting a super easy and delish pasta recipe. 7. It was 9 below this morning. My car, Zeke, was not happy. I didn’t mind so much-for some reason the sky seems to be crystal clear on cold winter mornings and I secretly love it. 8. I have been obsessing over Chocolate Soy Milk. I finally bought some. I am also going to make a TON of iced coffee sometime this week. Hello extra 12 minutes of sleep!